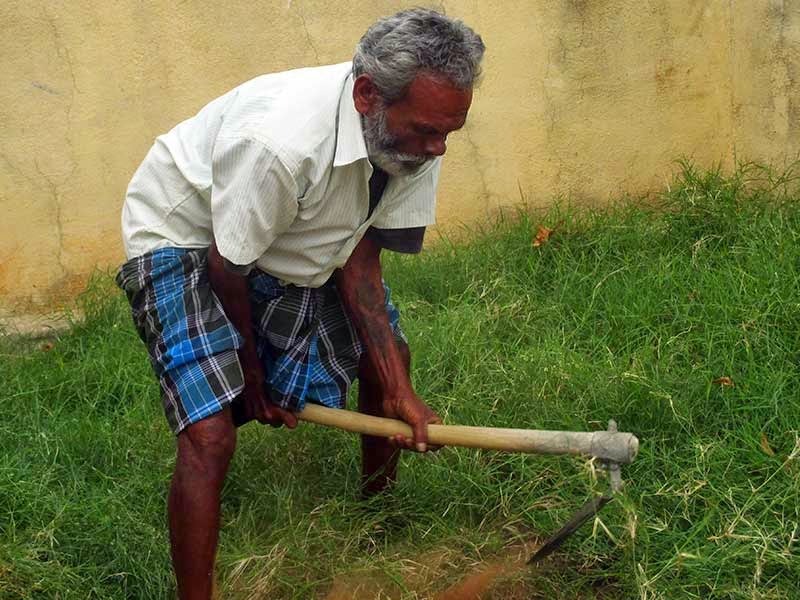 We launched 'Swachh Bharat" in our local villages. 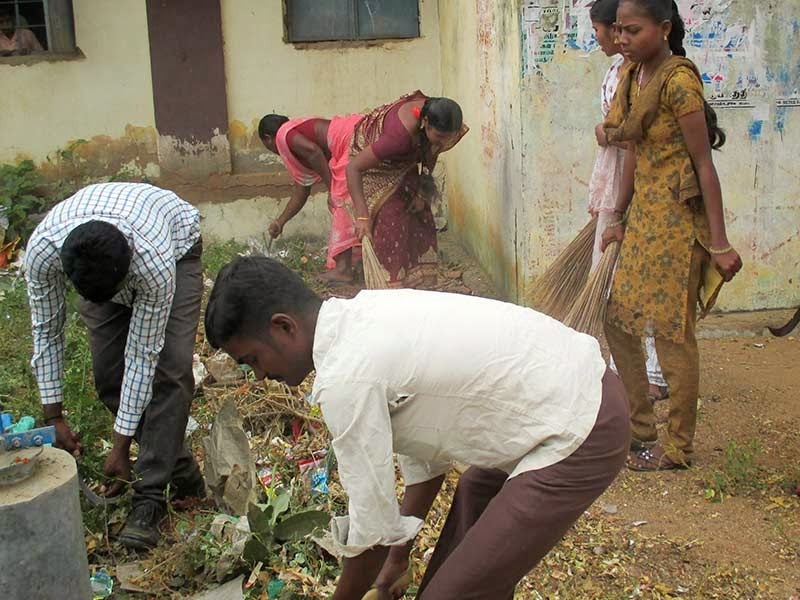 The Village Administrative Office joined us for the occasion, as well as the head mistress of the government school, and the area near and around the government school was cleaned up. Lots of people joined in to help. 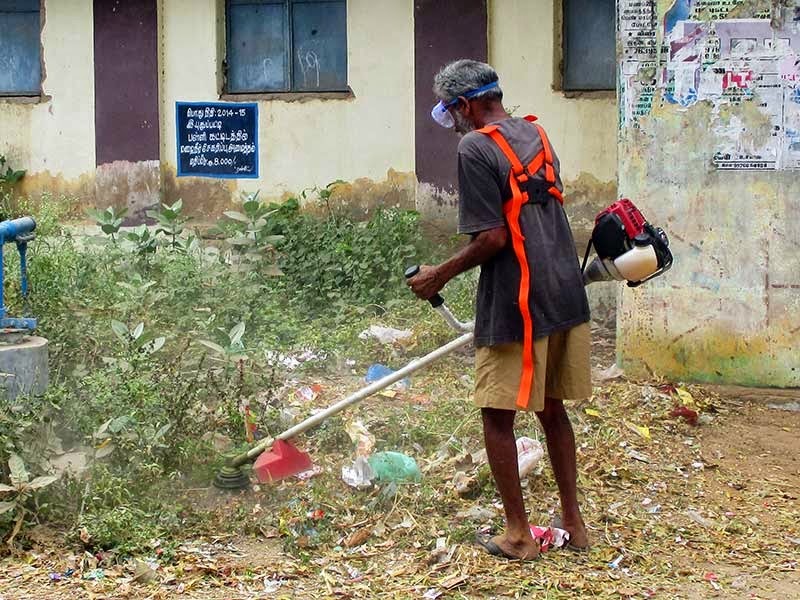 This will be an on-going program which seeks to introduce permanent changes and solutions for cleaning up the villages. 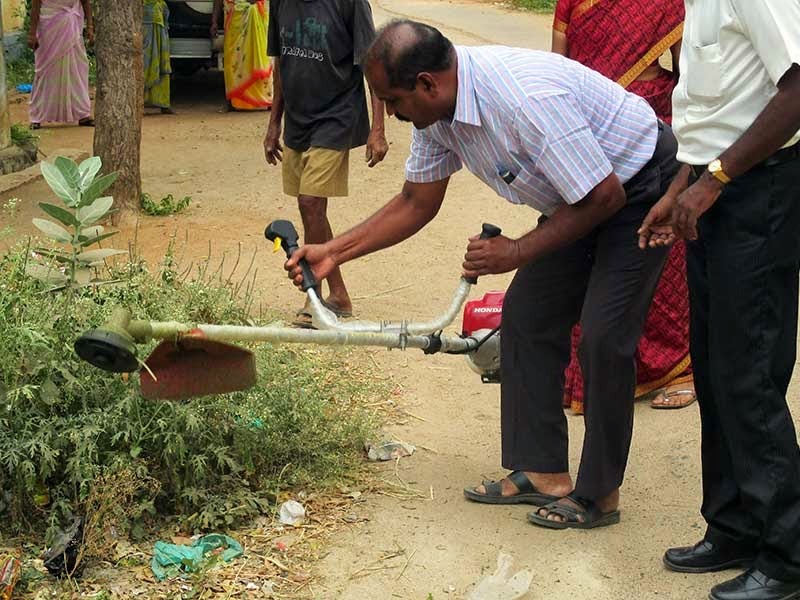 The Village Administrative Office kicked off the clean up by having a go with the 'whipper snapper,'-a quick efficient way to clear the overgrown grass.